Conor McGregor was in court Thursday to accept a plea deal for the charges he was facing after the altercation in Brooklyn this past April. 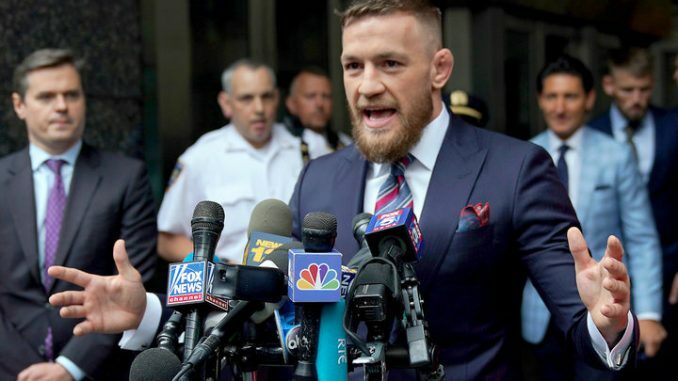 At Kings Courthouse in Brooklyn, McGregor pleaded guilty to one count of disorderly conduct while the felony charges against McGregor were dismissed. McGregor will avoid a criminal record and will not have travel restrictions after accepting the plea deal. As part of the plea agreement, McGregor has agreed to five days of community service, an anger management evaluation along with restitution to be paid for the damages to the bus that he threw a dolly at in April at the Barclay’s Center. McGregor cannot come into contact with Michael Chiesa and Ray Borg for a period of two years after the two filed orders of protection after they were injured in the attack. Both were removed from the UFC 223 card the following day in Brooklyn, with Chiesa recently noting that he was seeking out legal options. McGregor is free to resume his fighting career.